I found the scent sweet and delectable on a cold smell then when it was melting it smelled clean and almost herbal and the citrus notes really came through. 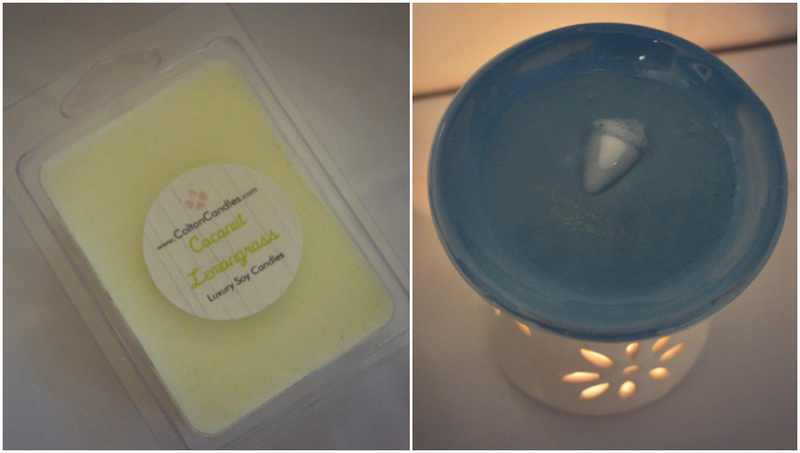 It’s a really tropical scent that is just perfect for Summer! All of Colton Candles’ products are made with a blend of sustainable soy wax and with the finest grade oils sourced locally in Yorkshire. I tested this out in my oil burner and I got three tealights, about 15 hours, worth of strong fragrance out of one cube, which is quite impressive. Stay tuned for more Colton Candles reviews from us, but until then be sure to show them some love on Facebook, Twitter and on Instagram.